What? You didn't know? One of the cardinals of the Catholic church is from Haiti... Chibly Langlois will be installed as a new cardinal in a ceremony at the Vatican on Feb. 22 2014. 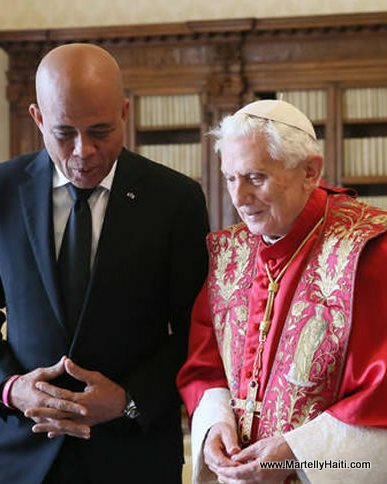 President Martelly thanked Pope Francis for listening to the needs aspirations Haitian Catholics. « Should 12 Janvier become a Holiday in Haiti? I did not hear about this. I'm happy for the first new Haitian Cardinal.